Tibetan Charm, our new A/W 2011 collection, is now LIVE! Featuring Tibetan silver and inspired pieces - beautiful ethnic jewellery is definitely our thing right now. We particularly love this range because it provides the perfect trans-seasonal update for that awkward August/September time. The bright turquoises and reds, along with the wooden bead, faux leather and hemp pieces are perfect for an Indian summer (optimistic, we know! ), yet the heavier, Tibetan silver necklaces and decorative surround rings just scream Autumn! 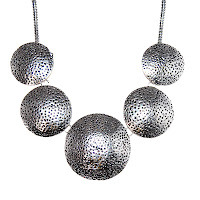 Our favourite pieces from the collection include this Metal Hammered Disc Collar Necklace, £14, which is such a statement-maker. It's an instant outfit updater! 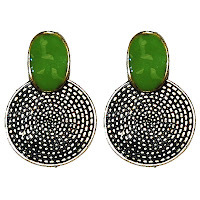 These Antique Gold Hammered Disc & Green Stone Earrings, £9, are such a sophisticated pair. We love the olive green enamel stone - so Autumnal. 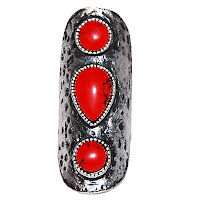 We love rings with attitude, and this gorgeous Silver & Red Stone Full Finger Statement Ring, £12, couldn't be more intense! 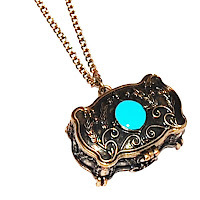 A quirky take on the collection now, with this Tibetan Treasure Chest Locket Necklace, £13. An eye-catching piece and the perfect size to keep your real-life treasures in! We love it when a completely new product line arrives at CD HQ! This time it's the turn of a dependable in fashion accessories - the scarf. Scarves and their ability to dress up (or down) a look have passed the test of time, from their introduction to our wardrobes to their place on the fashion accessory staple list. Our first drop of scarves (believe us, there will be more), are a mix of pretty and quirky - much like us really! 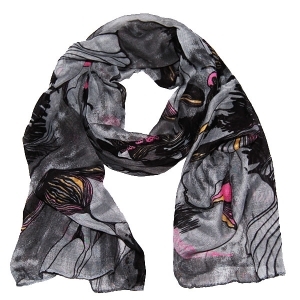 This Grey Begonia Print Scarf, £9, is a beautiful Autumn piece. Dark, with its grey mix background colour, yet with flashes of bright colours, to work with Summer's key colours. Also available in blue and yellow. 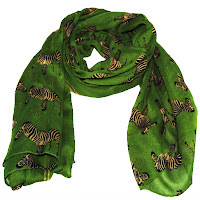 Words cannot express how in love we are with this Green Zebra Print Scarf, £12. Another perfect antidote to the new season, the vibrant green colour is amazingly eye-catching. 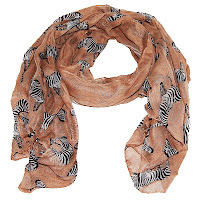 The zebra print is quirky-gorgeous, and adds an aspect of fun to your wardrobe. ﻿Another scarf from the same family, is this beautiful Beige Zebra Print Scarf, £12. 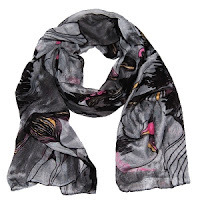 A lot more versatile in colour, this scarf can be worn with almost anything. Also available in black and grey. LOVE!